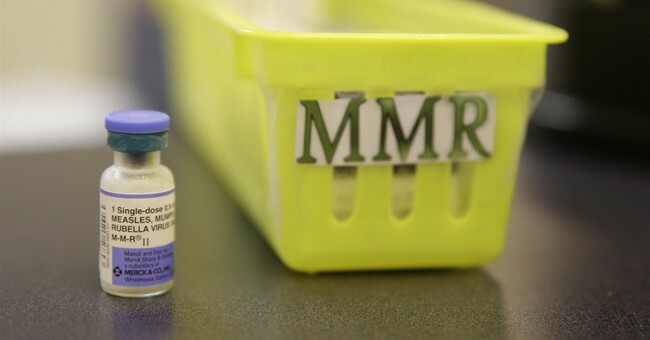 A lawmaker in Maine has proposed a bill that would prohibit discrimination by employers, schools, or other entities against people who voluntarily chose not to receive vaccinations. The bill is titled "An Act to Prohibit Discrimination against a Person Who Is Not Vaccinated" and is sponsored by Rep. David Sawicki (R-Auburn). Maine already permits philosophical exemptions from vaccinations (as opposed to medical or religious exemptions) and has one of the highest opt-out rates in the country. Sawicki claims that humans are born with an immune system suitable for protection against most disease, and that vaccines have been around for "just a blip" compared to the relative existence of humanity. He also said that children who have been vaccinated have nothing to worry about from unvaccinated peers. (Parents of infants killed by whooping cough before they were old enough to be vaccinated against pertussis were apparently not available for comment.) Then, perhaps most shockingly, Sawicki, who apparently has never heard of Godwin's Law, said that mandating vaccines was reminiscent of "the horrors of Nazi Germany." I can't believe I have to write this sentence, but here goes: mandating that someone (who is otherwise medically able to receive a vaccine) be protected against deadly diseases that were decimating a population less than a century ago has virtually no resemblance to the actions taken by the Nazis. None. As I've previously written, the United States was home to an outbreak of diphtheria in 1921, which resulted in the deaths of thousands of (mostly) children and teens, including my great aunt. Thanks to incredibly successful vaccination programs, diphtheria has effectively been eradicated from the developed world. These vaccines are invaluable in protecting people against the disease. Following the fall of the Soviet Union, Russia's healthcare system was in tatters and children were not regularly vaccinated against diphtheria--and this has resulted in a resurgance of the disease. While Sawicki is technically correct that vaccines have existed for "a blip" of human existence, this kind of arrogant thinking could potentially cost people their lives. While it may not seem nice to say, sometimes "discrimination" against the unvaccinated is necessary to preserve the safety of others. A person working in close contact with infants or the immunocompromised should most definitely be vaccinated to avoid spreading diseases to vulnerable populations. Many doctors will refuse to see patients who are not vaccinated in order to protect their sickest patients from catching vaccine-preventable illnesses. This would presumably be considered illegal under the proposed law. Vaccines are safe. Vaccines save lives. This should not be up for debate.